Good things are in store for the health conscious in St Davids as two of the city’s reputable wellbeing providers announce they will be merging in 2019. St Davids Wellbeing launched their Nun Street centre in April 2016, providing essential health and wellbeing services for the community and visitors to the historic city. In response to increasing demand, and now home to a team of 13 in-house specialist practitioners plus associates, St Davids Wellbeing is pleased to be able to offer their clients a larger and more flexible space within the City centre. “This merger with Menevia Spa is an amazing opportunity for all our practitioners and teachers to expand and grow what we currently offer, and continue to serve our community and visitors. We had the idea for a wellbeing centre about 8 years ago when we realised how many of us were striving to succeed on our own, and we are delighted that our initial idea has come to fruition through the provision of quality & professional wellbeing services under one roof. The St Davids Wellbeing team will begin welcoming loyal and new clients to their picturesque new space at Menevia Spa, Goat Street in April 2019 (formerly Steve Robinson Glass studio and gallery). 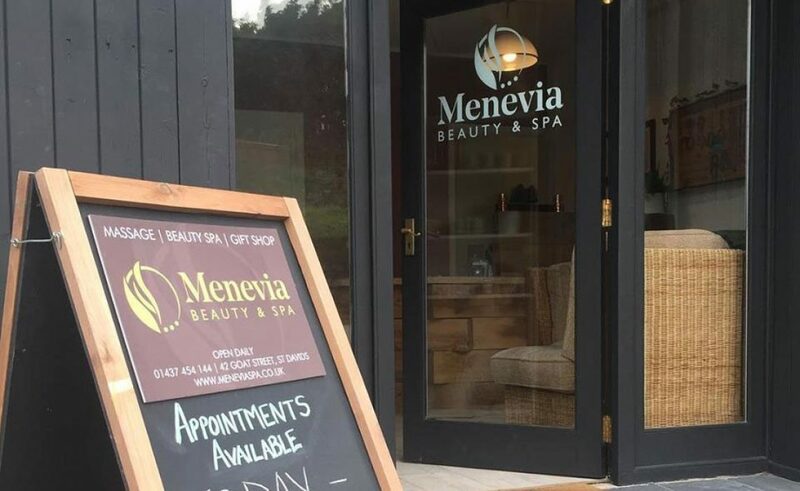 ‘Menevia’ (the original name for St Davids in Celtic Wales) currently offers spa and beauty treatments with aspirations to create a traditional Bath House and Spa long term. 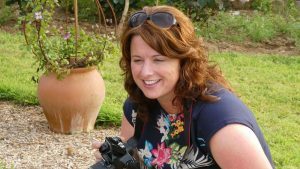 Founder and owner, Lucy Rees is looking forward to working with Lisa to further enhance the wellbeing of St Davids community. Lucy is equally excited that the St Davids Wellbeing team will integrate into the new location and merge into ‘Menevia Wellbeing and Spa’. To follow development of this new venture, follow St Davids Wellbeing and Menevia Wellbeing & Spa facebook pages or visit www.stdavidswellbeing.co.uk or www.meneviaspa.co.uk.